"Tarot ArkLetters" is online May 8th, 2005. The big treat for this issue is my in-depth article on the Major Arcana, first published in my book, "The Underground Stream". Many of my students have told me it really helped them to take note of how the Trump cards originally appeared in the oldest decks of Tarot, so perhaps you will get some value from exposure to this material as well. The modern Tarot packs, especially those from the last century, have abounded in creativity, but this trend has in the process thrown some ambiguity over the simpler, more traditional images that were first employed on the faces of the cards. 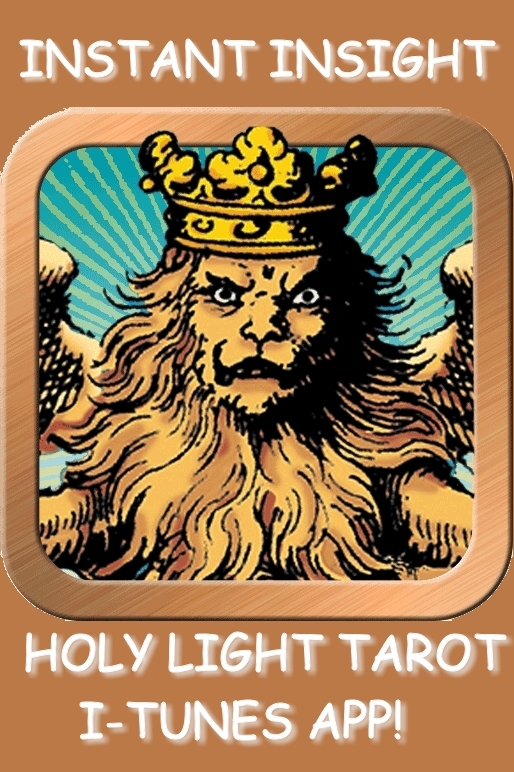 With this review you will be able to more fully appreciate the older images, titles and symbols, and improve your sense of the historical sweep of Tarot. ...This New Moon in Taurus gives us all a fresh opportunity to renew our joy in our bodies, our senses, Great Nature, and the potentials for personal pleasure that come to us through this embodied life. ...This review of the historical sweep of Trump titles and illustrations will help you better understand the roots of these archetypal Ideas despite the (in some cases) radical departures we are confronted with in the modern Tarots. Our publication date and time corresponds to the New Moon each month. This month the Moon is conjunction the Sun at 17+ of Taurus. If you do want to engage in more conversation about Tarot, I'm inviting online comments to my ArkLetter essays. Just visit the ArkLetter URL of the article you want to discuss, fill out an online comment form and tell me what you think - your comments are published immediately on the site, and may stimulate more dialogue. You can also visit my webpage at http://www.tarotuniversity.com and join Tarot University's online forum, Tarot Salon, http://groups.yahoo.com/group/tarotsalon/, there. This list is free, and light - I send out one note a month, like this one, informing you of my new publications and discussions via these New Moon Tarot ArkLetters - http://noreah.typepad.com/tarot_arkletters/. If you wish to continue receiving this announcement each new moon, you MUST SUBSCRIBE to receive the next ArkLetter Announcement. We do not send unsolicited e-mail. To SUBSCRIBE to the Tarot ArkLetter announcement list, please visit our subscribe link: http://www.skymind.org/tusubscribe.html. If you're not sure whether or not you've subscribed, subscribe again and the program will let you know. Again, you MUST subscribe to receive another announcement about the Tarot ArkLetters. Thanks you for your interest, and we look forward to hearing from you in our ArkLetters' comments section.